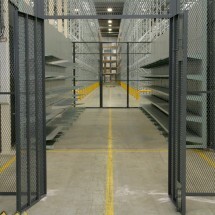 Storplans Guardstor security cages and fencing are the perfect solution for securing items or products of high value. 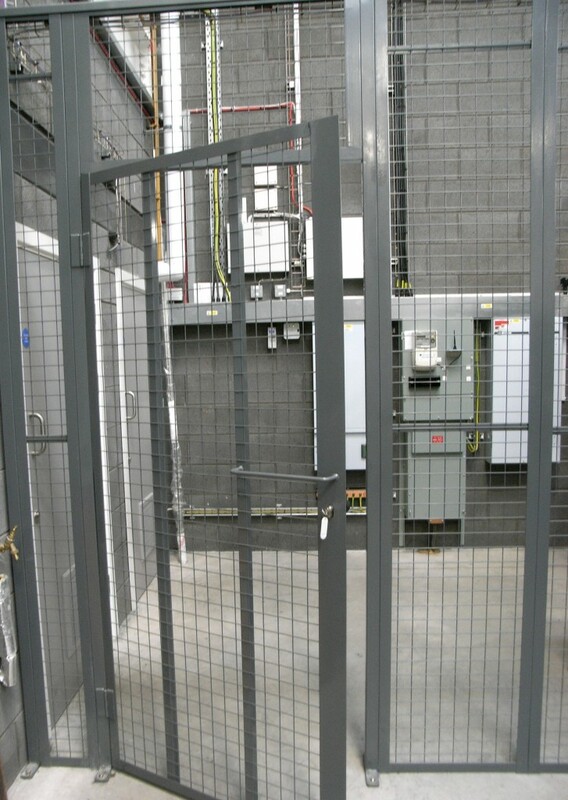 All our GuardStor security cages are constructed using two basic components: the door plus the requisite number of standard panels. 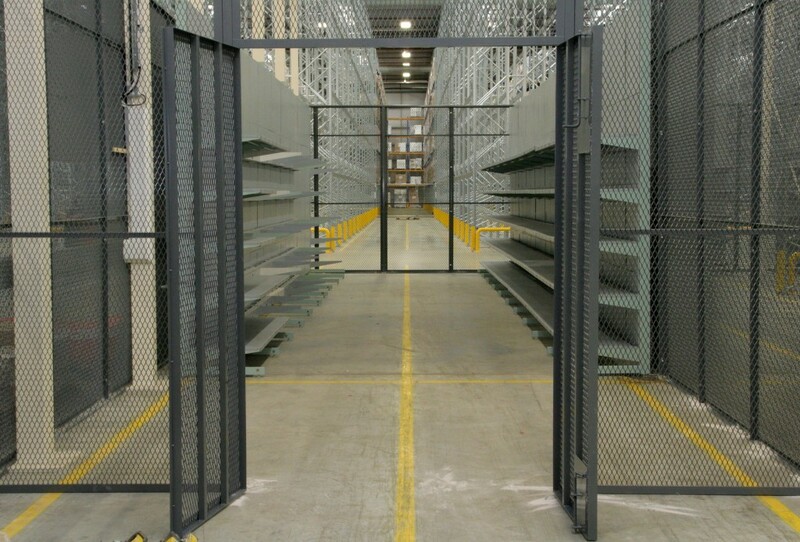 This design enables us to create cages of almost any size. The most popular sizes are, however, based on our standard panels which are 1230mm wide x 2460mm high. Doors are constructed using box section rather than angle and feature an all round slam post of 5mm thick steel plate. This eliminates any pry points or weak areas. 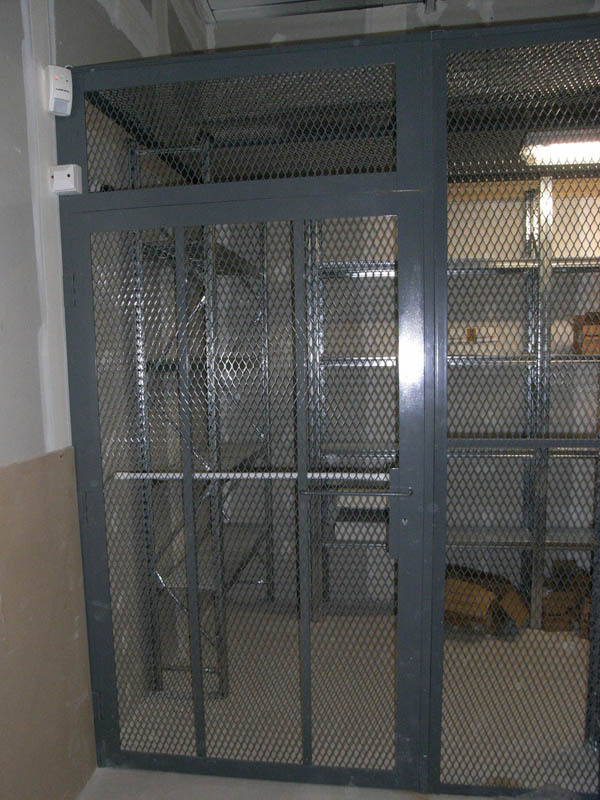 On smaller cages where, due to size restrictions, the door has to open outwards, we provide additional security by way of hinge bolts. 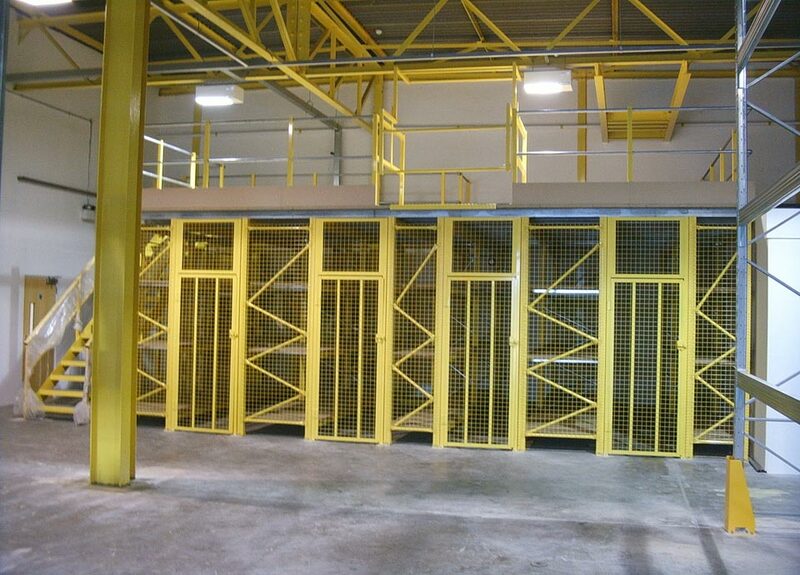 Installation by our own teams of fitters can take as little as two hours for a small cage. Due to the ease of installation we would however be pleased to supply the components for self assembly. 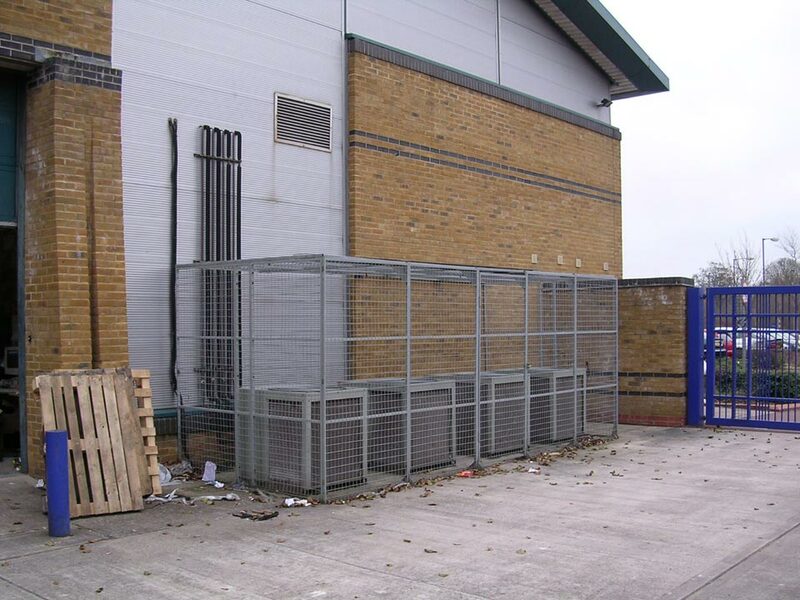 GuardStor cages can also be fully galvernised for external applications making them ideally suited for securing gas bottles and externally mounted air conditioning condenser units. To date over 2000 installations have been completed. A considerable amount of research and development has been carried out by both in-house personnel and top security personnel from many industries. The result is an excellent product well able to protect your property from all types of theft. It is reasonable to expect insurers to reflect this added security in their reduced premiums.